Transfer in a llanera and cover with aluminum foil. 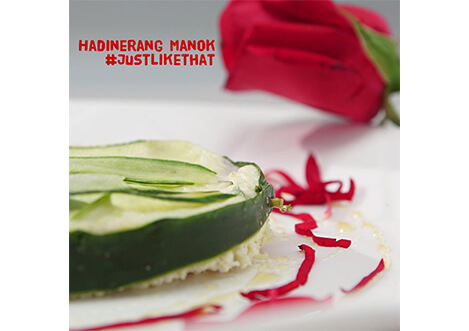 You may line the llanera with slices of cucumber and tomatoes. Steam for 10-15 minutes in a steamer. Transfer in a white plate and serve.